According to the report, the BGC had repeatedly requested financial documents related to the available funds to no avail, leading to the club being raided this week. Furthermore, it is alleged that there exists a “substantial” difference between the club’s chips in use and its available funds, resulting in a clear violation of the state’s gaming regulations. The raid subsequently took place at around 2 p.m on Wednesday, with agents from the Bureau of Gambling Control unexpectedly showing up at the venue, and serving a temporary closure order to its management. As well as its card tables, the establishment’s restaurant and bar area were also closed, and a sign reading “TEMPORARILY CLOSED” placed on the club’s outside doors. 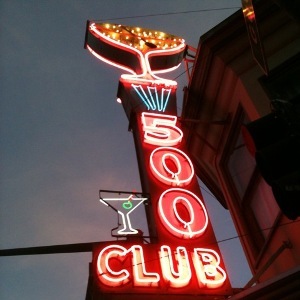 In the meantime, the 500 Club’s license has not been cancelled, and the card room’s lawyer has said that he is currently working with the BGC to have the club reopened as quickly as possible.